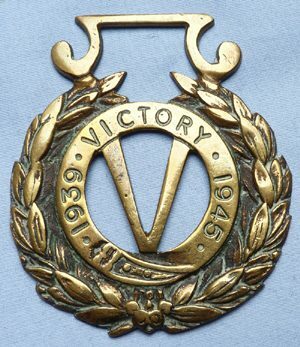 Original British WW2 Victory “V” horse brass. An unusual and scarce British WW2 Victory "V" horse brass - period piece. Dimensions are 3.25 inches x 3 inches.